"I'm proudly sending out the Motif's piano, Wurlitzer and Rhodes sounds with symphony orchestras at the moment, and fitting in easily despite being the only purveyor of synthesized wave forms." The Whitlams are one of Australia's favourite bands whose appeal reaches audiences of all ages and tastes. With lyrics described as having a "charming cynicism" and enhanced by an instinct for poignant melody, they won Best Group at the 1998 ARIA Awards, as well as Song of the Year and Best Independent Release for their 3rd album 'Eternal Nightcap'. 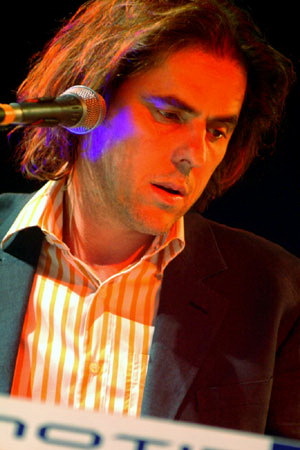 The Whitlams' recorded output spans six studio albums over their decade-long existence, with the 2nd-last album 'Torch The Moon' debuting at Number 1 and becoming the third consecutive Whitlams album to go platinum.